So reads the opening sentence of a message from UBC’s first president, Frank Wesbrook, published in UBC’s 1916 annual. By the end of the First World War, 697 UBC students had seen active service and 78 lost their lives. At this time the university’s annual enrollment only numbered in the hundreds. Faculty members also served in Europe. 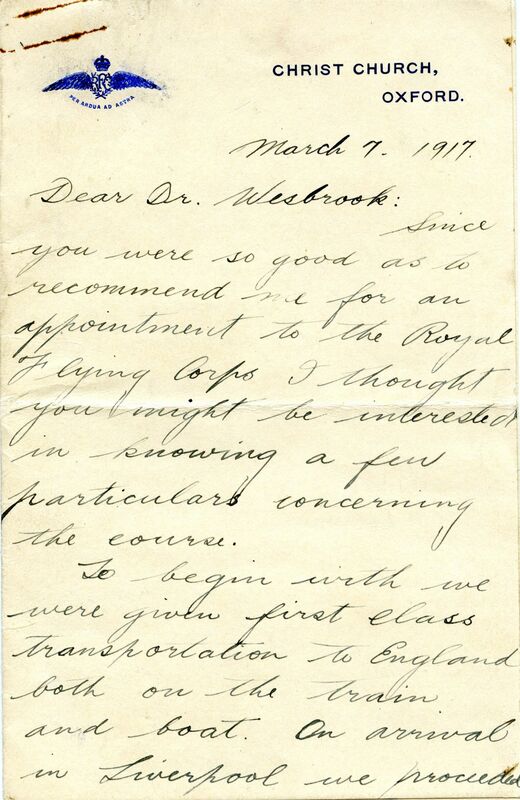 Wesbrook sent prompt personal replies to the letters he received, impressing on the student soldiers his desire that they return safely to continue their education at UBC. 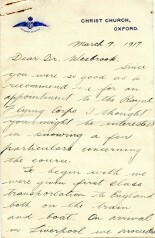 Dr. Wesbrook died on October 20, 1918, three weeks before the war ended. Images from McGill College/UBC annuals, courtesy of AMS Archives. Berry enlisted as a gunner with the 46th Battery in December 1915, and proceeded to England early in 1916. He served in France with the Third Divisional Signal Company on the Somme in 1916, and at Vimy Ridge, Hill 70, and Passchendaele. He was gassed at Loos in 1917. He was invalided to England and on recovery was granted a commission in the Royal Air Force. He was UBC’s first Rhodes Scholar and took up his residence in St John’s College, Oxford, in April 1919. 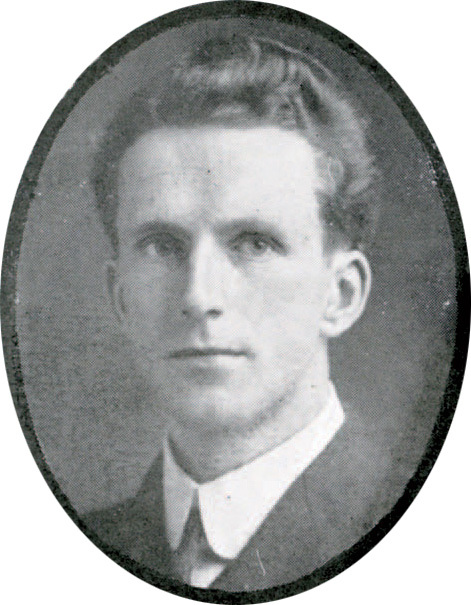 Edward Berry died at Oxford on January 28, 1920, of heart disease resulting from the effects of gas. He was buried In Wolvercote Cemetery, Oxford. I received your Christmas card on the 14th, and am very grateful indeed for the kind wishes which it conveyed. I must apologize first of all for not having written you before, but we have been rather strenuously engaged during the past few months and correspondence for the most part has gone to the wall. Our unit has been in action periodically ever since we came over, but it was last fall during our two months’ engagement in the “Big Push” that we received our baptism of fire and gained some idea of the destructive effect of a concentrated artillery bombardment. … It was good news to hear that all the boys are in good health and doing well. Be sure to urge upon all of them that we are regarding their present experiences as only a phase of their education and training and that we want them all back. To you we look as the first representative of the University to be sent to Oxford. You will have much to do in carrying our message to them and later in bringing back all the good things you can from the Motherland to be applied to our problems here. Wishing you and all the others continued safety and success and hoping that it may not be long until you are back with us again. Logan was a professor of classics. He went to France in 1915, where he served in the 72nd Seaforth Highlanders of Canada and the Canadian Machine Gun Corps (CMGC). 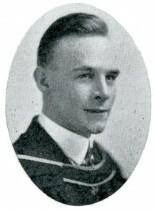 He became a captain in March 1917 and a major in December 1918. He was awarded the Military Cross. He prepared the official history of the CMGC in 1919 before returning to teaching the following year. He became head of UBC’s Department of Classics in 1949 and went on to write the first published history of UBC, Tuum Est, in 1958. He was still teaching right up until his 80th birthday in 1967. … Do you know, I often imagine my brain will be so long applied to M.G. And Army work that I shall have gotten quite hopelessly behind in Classical knowledge, and yet my two years teaching in the Univ. of B.C. Are among the happiest years of my life and I do feel I could return quite gleefully to that work, if it were not for the thought that my students would suffer from my Latin and Greek being so coated over with rust. 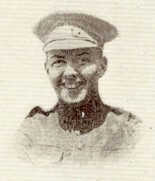 Smeeton was in the Canadian Officer Training Corps from 1914 to 1915. He became a private in the 131st Battalion in December 1915 and a lieutenant in May 1916. He went to Europe in November 1916, serving with the 30th Reserve Battalion in England and the 54th Battalion in France. He was invalided to England in April 1917. His record of service then lists him at the BC Regimental Depot in Seaford (May 1917); with the 16th Reserve (August 1917); and attached to the Royal Flying Corps (November 1917). He returned to Canada and was discharged in January 1919. A 1925 alumni directory lists him as a Presbyterian minister living in Saskatoon. … My letters… would hardly pass the English test I am afraid, or Mr. Henderson’s literary criticism… One cannot write very coherent letters when one’s nerves are on edge. What with wet, cold, dirt & more dirt & a little more dirt; the guns going boom, boom, boom all day long, eighteen of us living in a dugout, 30 feet by 8 ft by 8 ft & 30 feet underground, & writing by the aid of a single candle, one cannot compile very good letters. We are all happy and cheerful however. I am looking forward to a gala day tomorrow. We have a colonel & a major with us for a few days on a cooks tour. I have my eye on the colonel’s water bottle & intend to have a shave & give my face a sponge bath with the contents thereof. This will indeed be a gala day I can assure you. I would be very grateful if you would have a copy of the Calendar forwarded to me. I should like to look through and fancy myself starting the year again. While attending university, Moore qualified as a lieutenant in the 11th Regiment, Irish Fusillers of Canada, and secured his captain’s papers in the summer of 1916. He enlisted in December 1916 as a cadet with the Royal Flying Corps and crossed to England in January 1917. After being awarded his pilot’s wings he was made second lieutenant in August 1917, immediately crossing to France to join the 1st Scouting Squadron. He remained with his unit all winter and was promoted to lieutenant and later to captain and flight commander. 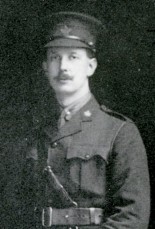 In March 1918 he was awarded the Military Cross. 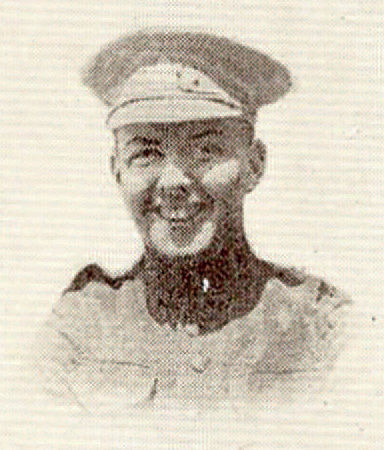 Captain Moore was killed in action on April 7, 1918, over Ypres and was buried near the spot where he fell. He was officially credited with bringing down 12 enemy planes during his service in France. Lord became a private in the 196th Battalion in September 1916 and went to England in November. He went to France with the 46th Battalion in February 1917. He was wounded on June 1, 1917, invalided to England in July, and to Canada in March of the following year. 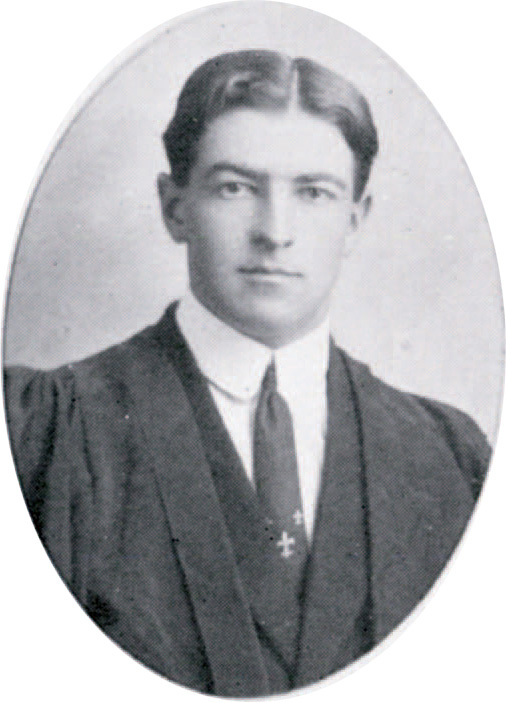 He was discharged in April 1918, having attained the rank of corporal, and went on to earn his bachelor’s degree. … This war of wars still continues, but I don’t think it can last much longer. I think there is no doubt that it is producing a big change in the human race. It is changing the trend of thought. The world is tired of war and those actually participating in it know how truly General Shearman [sic] spoke when he said war was hell. Remember me to Mrs. Wesbrook and tell her I hope to be able to dish up some more coffee at UBC next year. … Our boys have done well over there and have proved themselves men under the most trying conditions. Shell fire shows a man up for what he really is and I have never seen any of them show signs of fear or cowardice even under a very severe bombardment. We all long for peace, but of course there is no use of considering it while Germany holds out for such terms as she has hinted at but not definitely stated. Thank you, I really enjoyed the letters – especially because I am interested in genealogy and primary sources of information. I keep urging my family members to keep letters and even some e-mails to document our lives now. I appreciate getting Trek electronically. I am planning on moving in a couple of years and am downsizing material now. Canada’s famous “Machine Gun Harry”, known to my generation as Col. Logan, was one of the finest men I have ever known, kind and generous to a fault. He chose me to write the final chapter and most student life sections of his Tuum Est, which began my career as a historian, and I have always been grateful to him for that.